I love the color green, but designing with green is an entirely different story. Photographing something entirely green can be a nightmare. What looks gorgeous and verdant and vibrant to your eye, often comes out bland and blah and boring to the camera. So in today’s spotlight, I’m Green With Envy over these designs that look oh, so gorgeous in green! 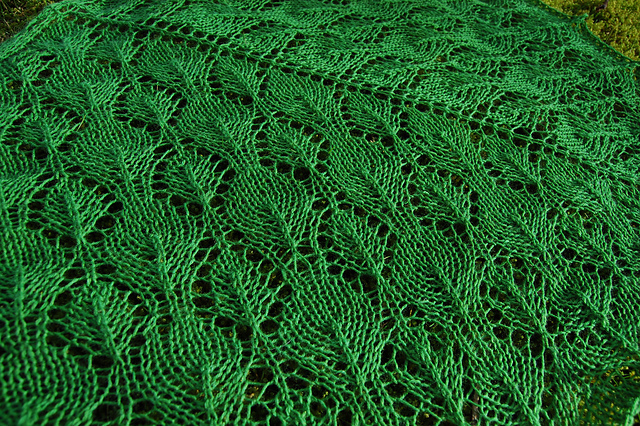 Why I Love it: Multiple shades of green make this fantastic shawl and it’s available in 3 languages! 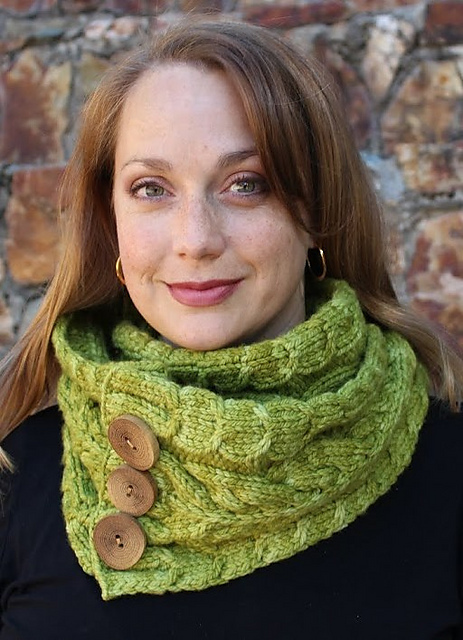 Why I Love it: It’s a beautiful bulky cabled cowl with oversized buttons – the perfect thing for a quick gift! 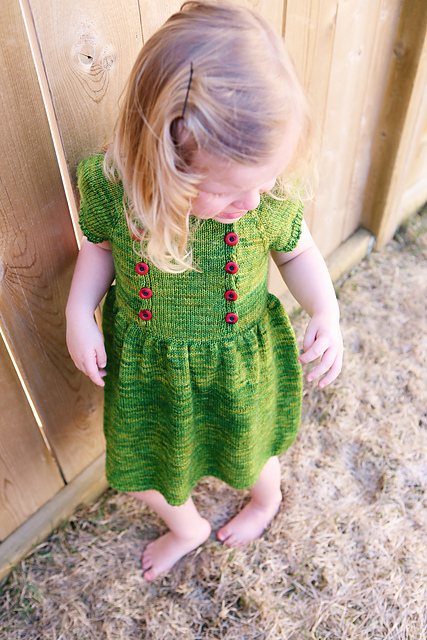 Why I Love it: This dress is absolutely adorable – don’t you just love little ones in bright colors? 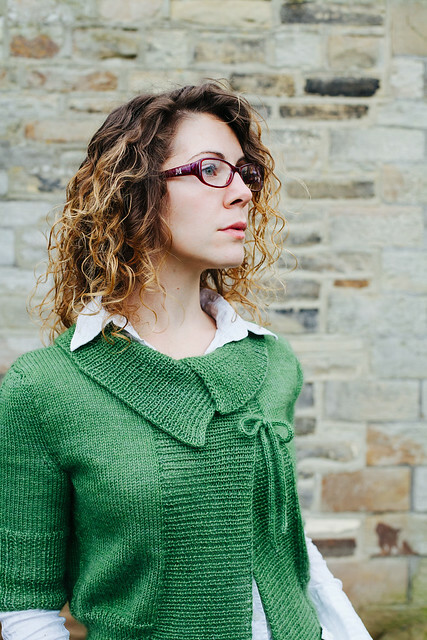 Why I Love it: It’s reversible and you can double it up for extra warmth! 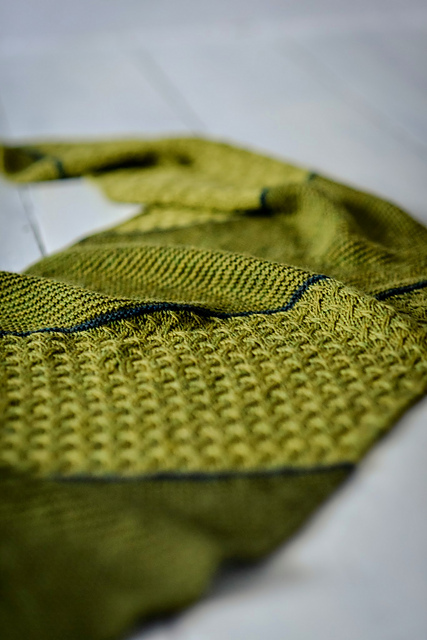 Why I Love it: It’s a gorgeous bright green long cardi – just the thing to spruce up basics in your wardrobe! 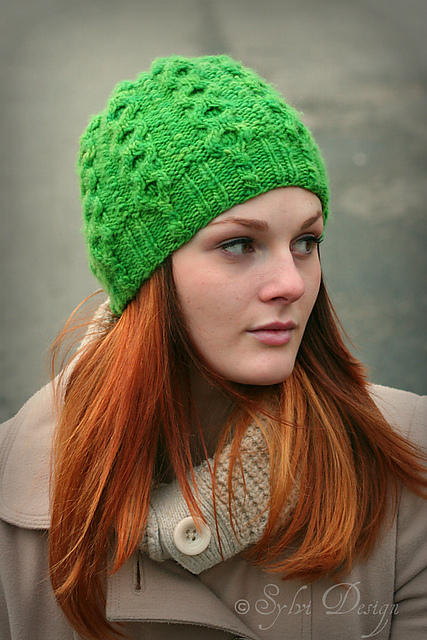 Why I Love it: A quick and beautiful hat. And really, is there anything better than a red head wearing bright green cables? 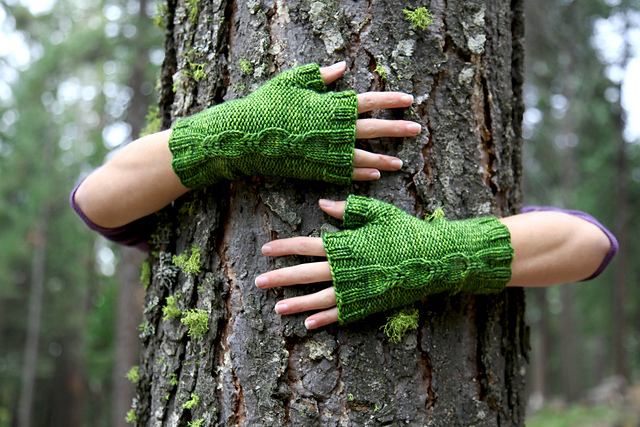 Why I Love it: Worsted weight mitts knit up super quick and these mitts actually match the moss. Say that 5 times fast! Why I Love it: It has a leaf and “lawn” motif and even the name means green! 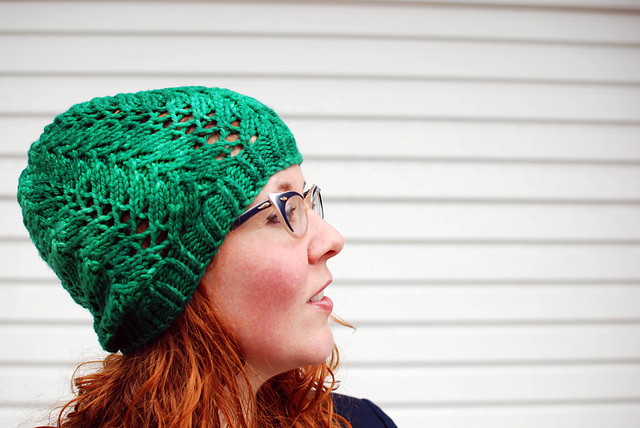 Why I Love it: A bulky lace hat made in this gorgeous green makes a stunning last-minute gift. Why I Love it: Because it’s absolutely adorable and I want one. 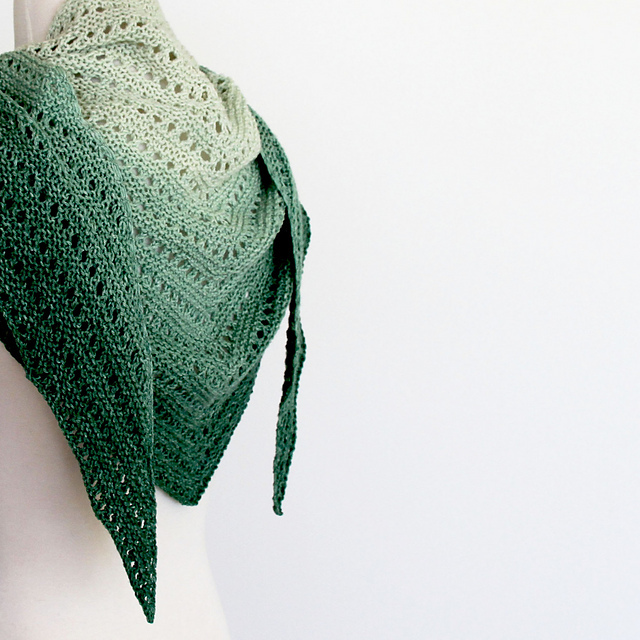 Why I Love it: It’s a super versatile green gradient shawl – what’s not to love?